I ‘met’ Paul on twitter quite a while ago. His tweets are open and honest and, in my opinion, show incredible courage. I asked him if it would be okay to include some of his recent tweets in my “I’m sorry what? !” blog post. What he emailed me though, was worthy of a post of its own. Thank you for letting me share it Paul. 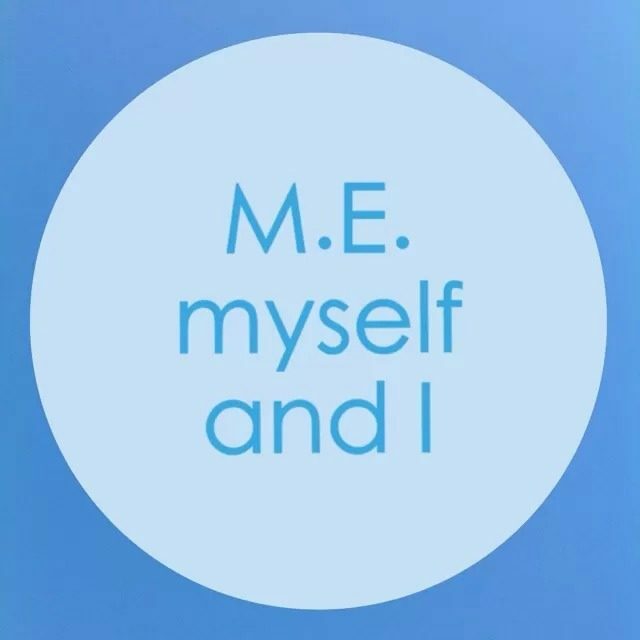 The following is a borderline coherent rant on issues I have faced and feel need airing, having suffered with M.E (CFS) over the last six years. They are taken from various tweets which explain the rather statement like narrative of the rant. It is by no means complete and merely touches on what is a very contentious and frustrating topic for someone who has taken the time to research and has years of lived experience. First is a short list of contradictory advice and statements I have received from various GPs. The biggest issue is of exercise/exertion. Berated by one side for not doing enough. Horror stories from the other on the dangers.Yet as always, it’s the patient’s fault for not listening to one side over the other. The problem is simply ignored. You ask questions, ignored. You ask for evidence, ignored. You explain a treatment makes you worse, ignored. Then there’s the issue of how our objections are sometimes summarised by those who are supposed to be on our side. Again, excuse the bullet point nature here. “Patients swear blind it’s a physical illness” Erm, no, we don’t. At all. We oppose dangerous treatments based on spurious evidence. We have examined the evidence and think a physical explanation is the most likely and warrants proper investigation. We value psychiatry in it’s role in helping us adjust to a serious illness. We have tried the treatments and they have made us sicker. We are informed, educated and know more than our GPs. We are not opposed to psychiatric explanations of our illness, we welcome them. discourse and have resulted in ineffectual treatments for over 30 years. We are opposed to forced sectioning and forced treatments that result in the deaths of patients and permanent psychological damage. we say “it’s probably a physical illness” what we mean is there is a distinct sub section of patients under the CFS label that are clearly separate from those simply suffering from fatigue. That we have been thrown into a waste basket diagnosis with patients that may benefit from psychiatric treatments and have these positive results extrapolated as beneficial to us when they are clearly not. several different patient groups under one vague diagnosis, ignoring negative patient experience of treatments and fail to tackle head on, numerous evidence of biological explanation and potential success with drugs that target immune system function then don’t be surprised by patient backlash.